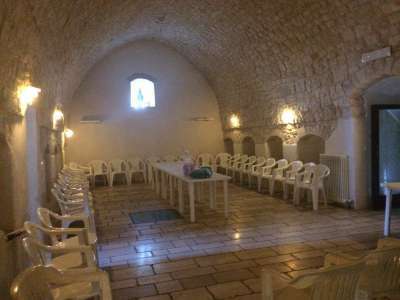 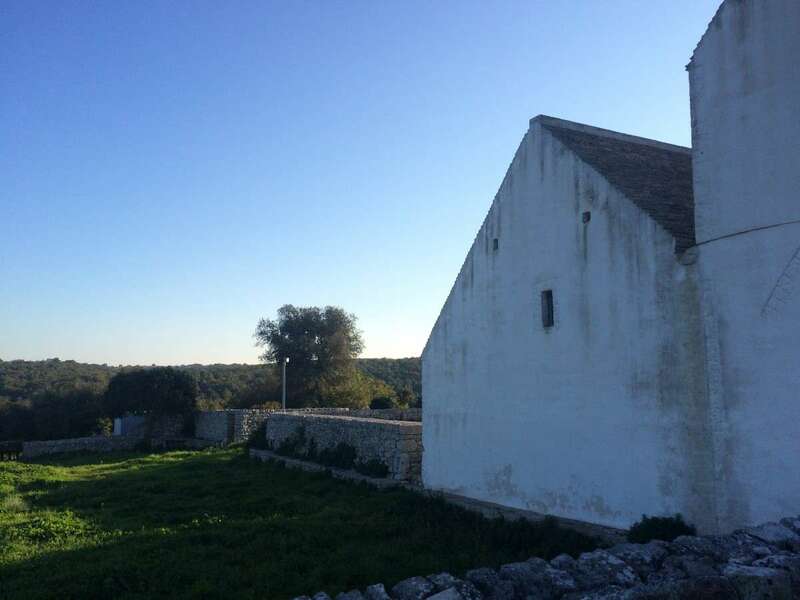 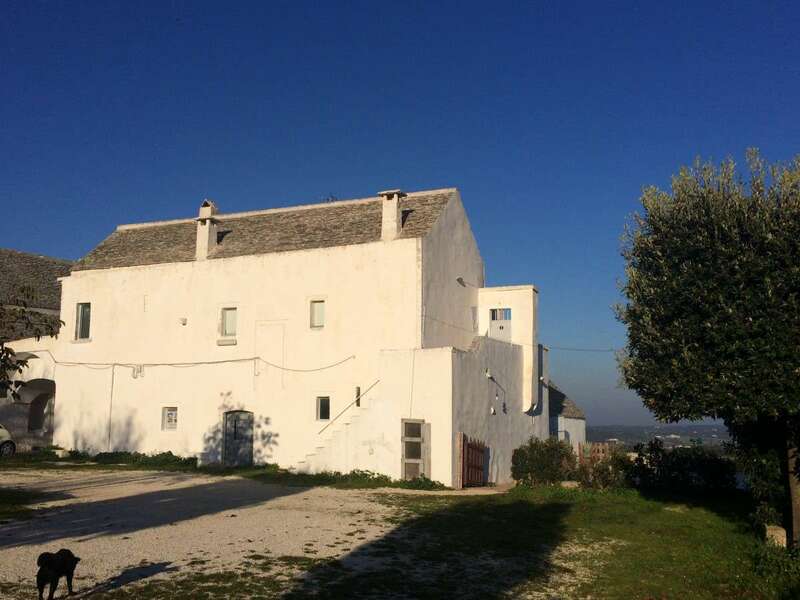 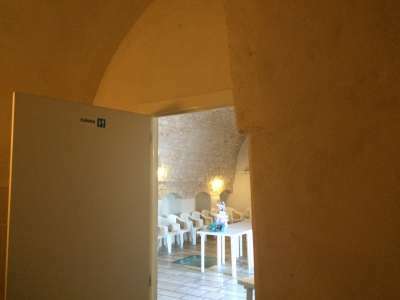 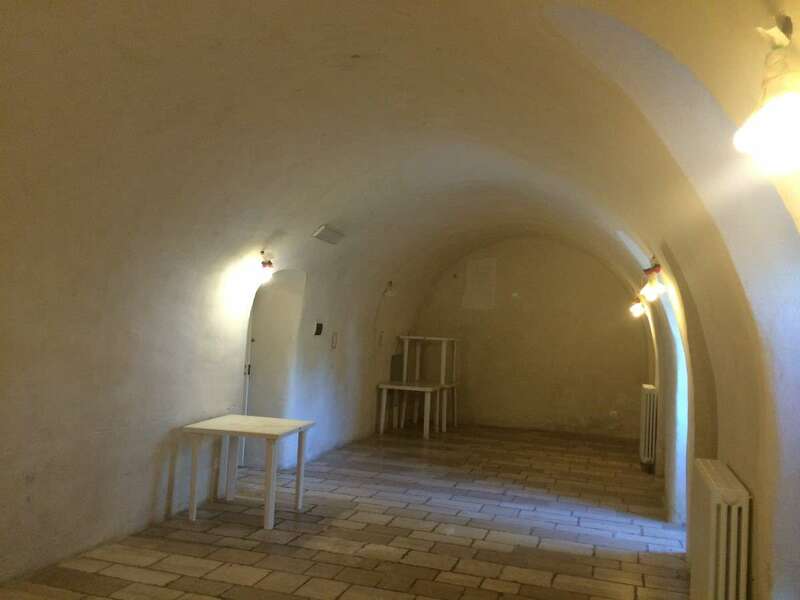 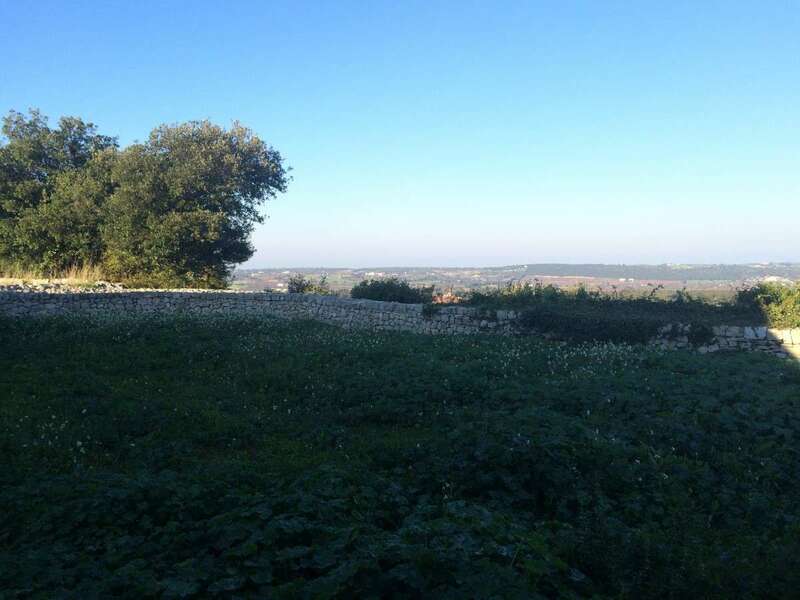 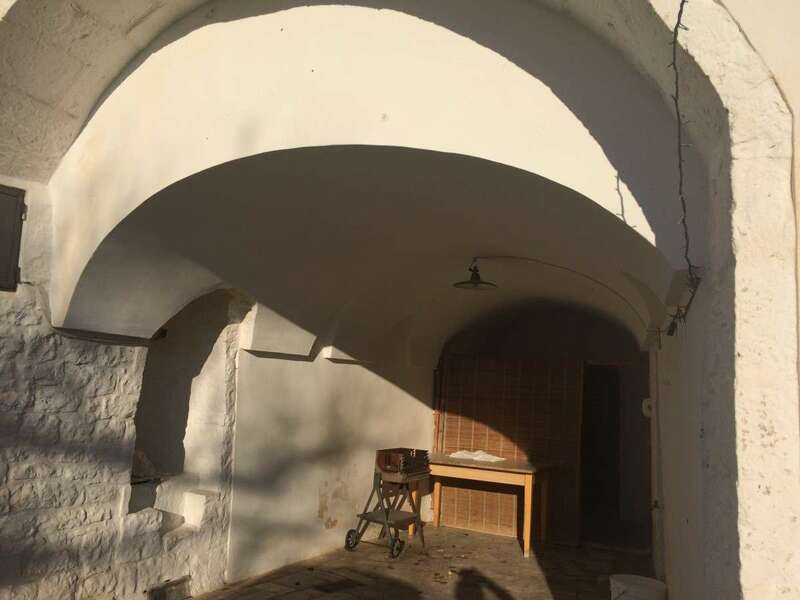 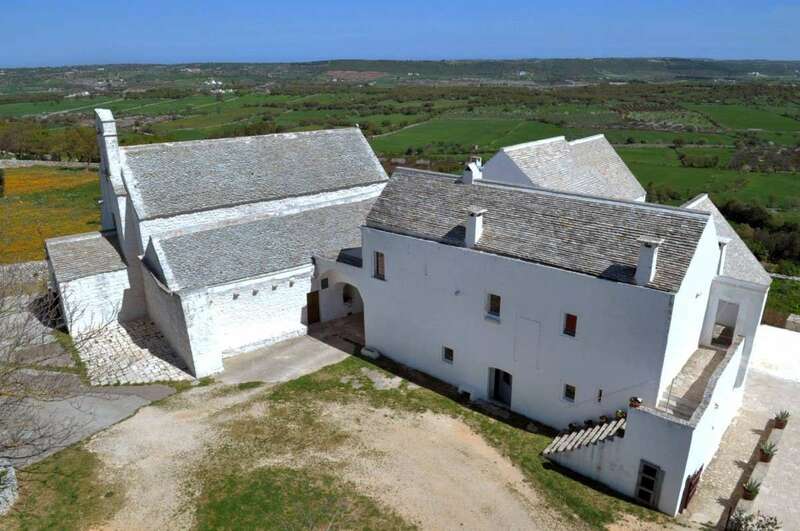 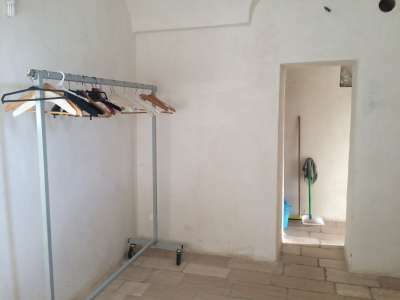 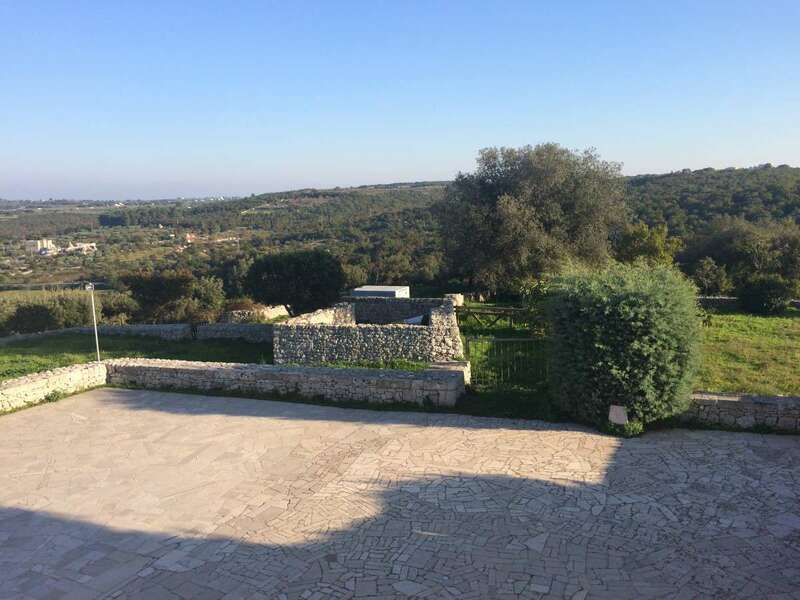 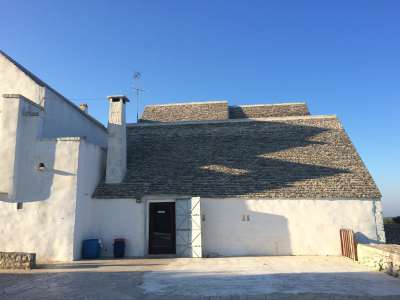 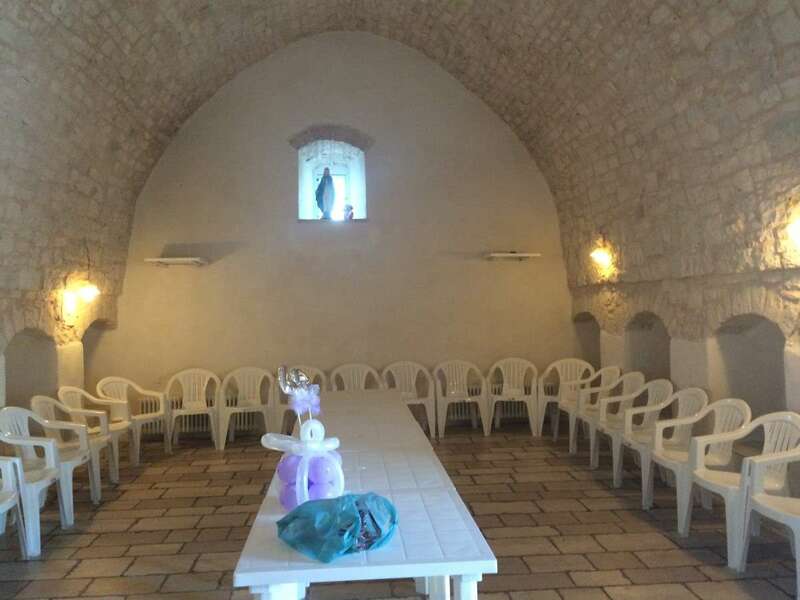 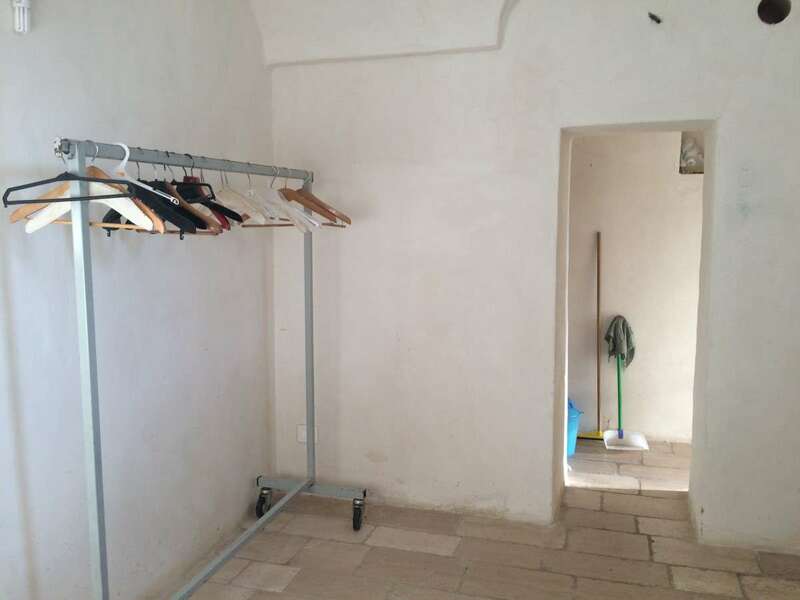 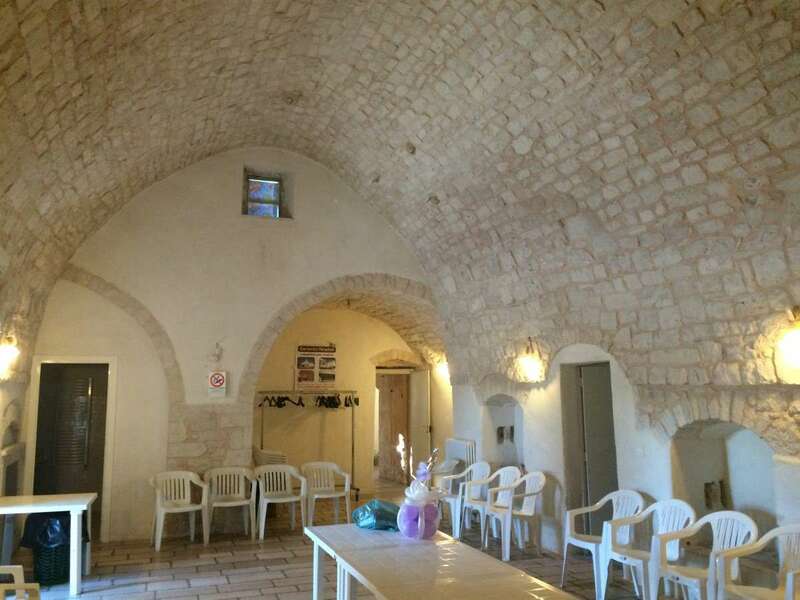 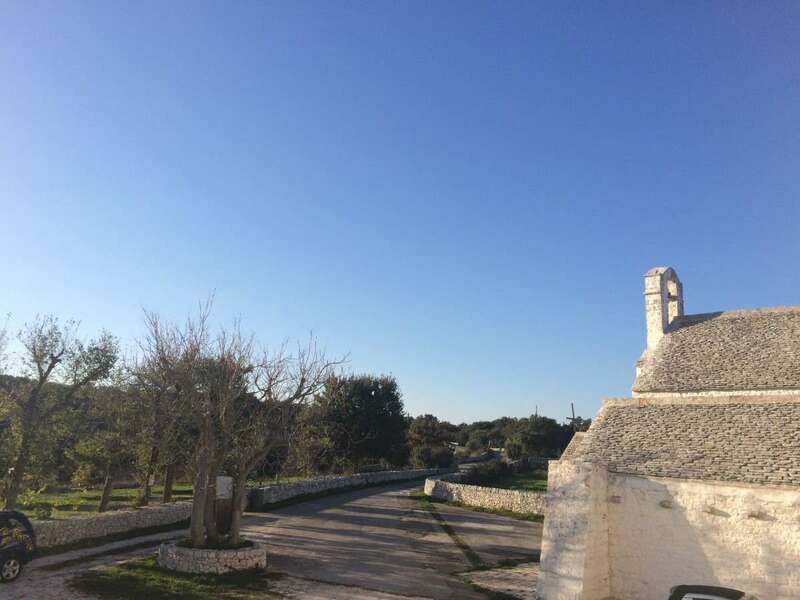 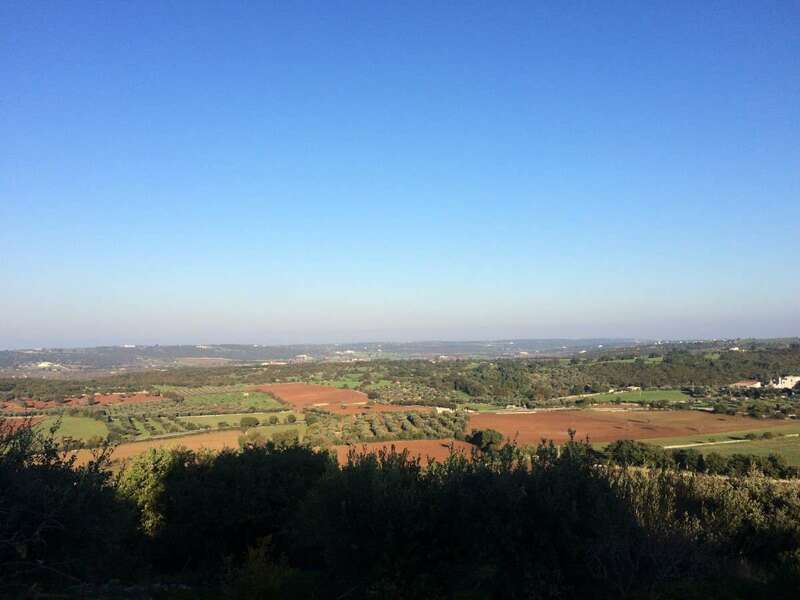 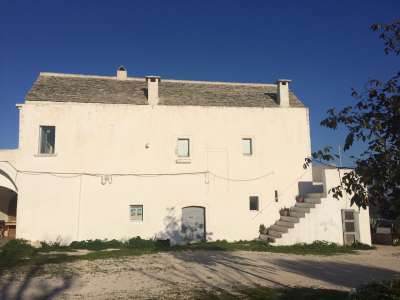 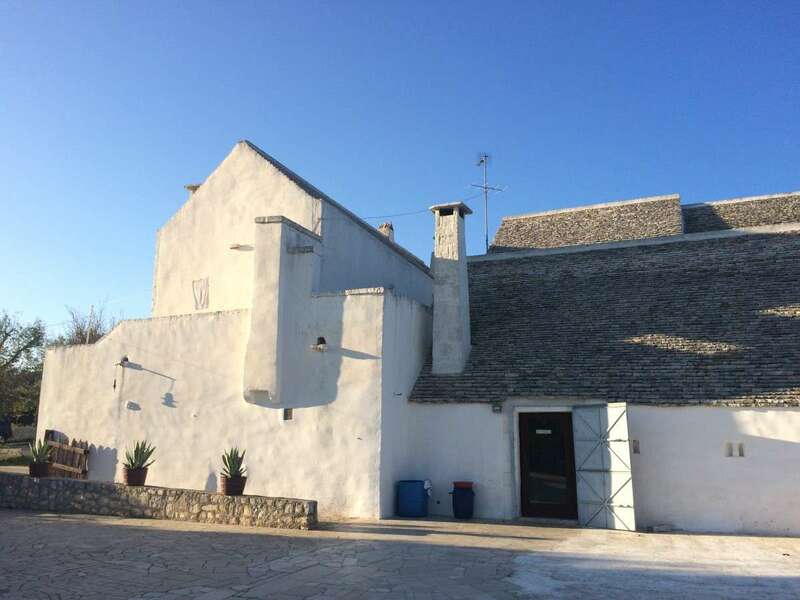 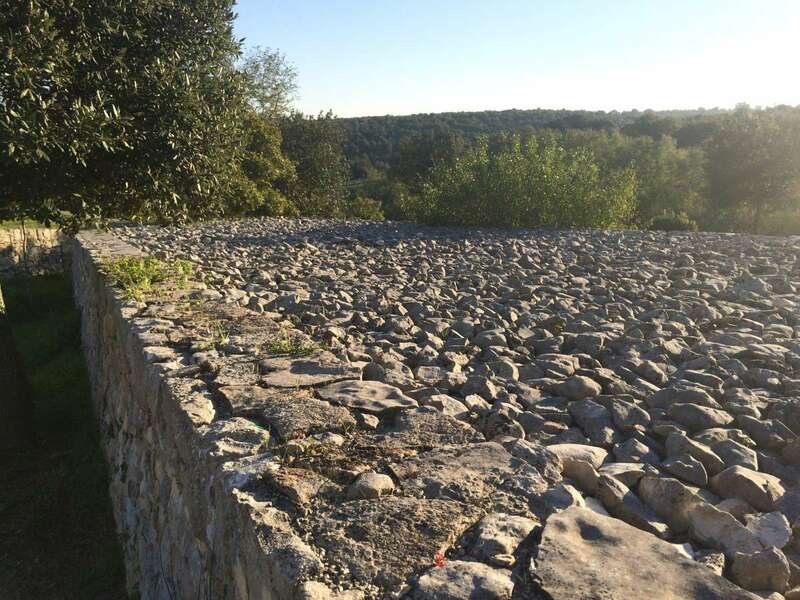 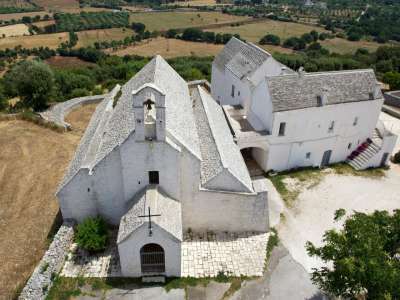 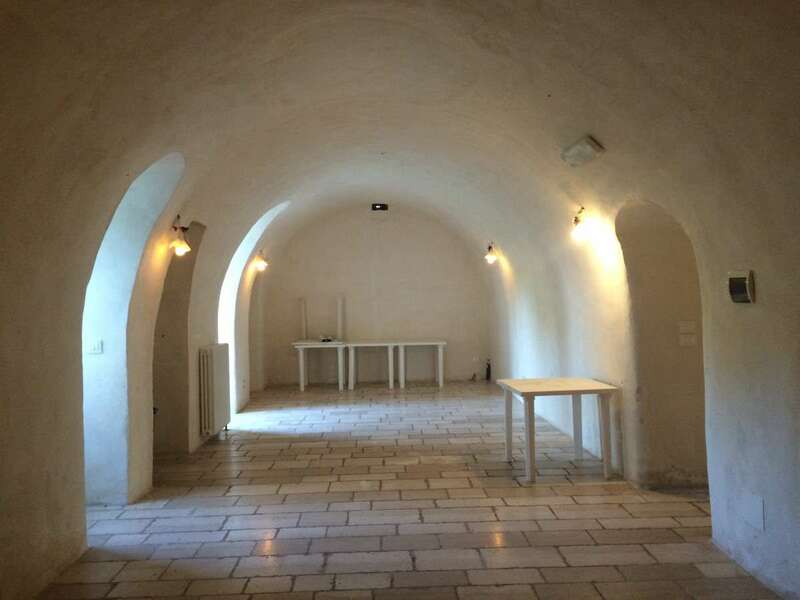 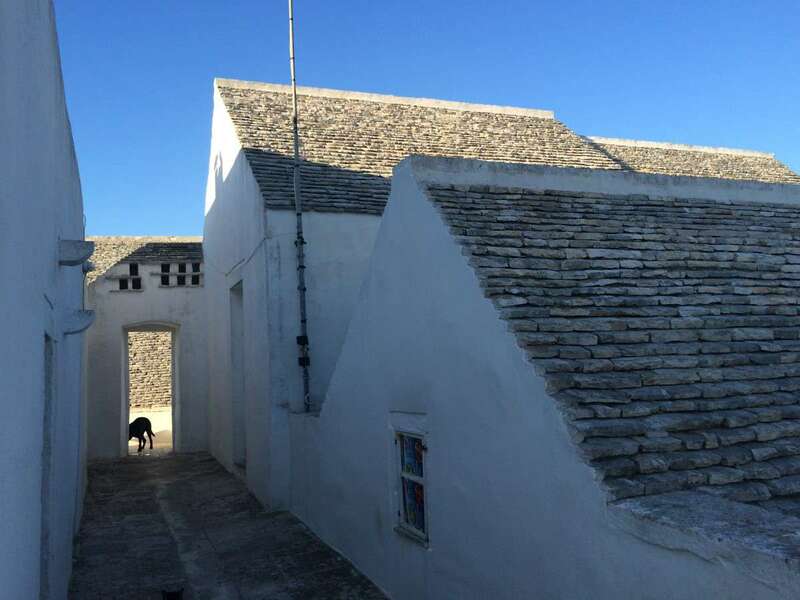 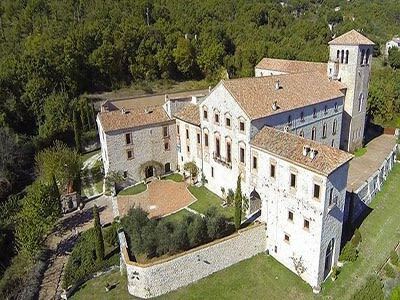 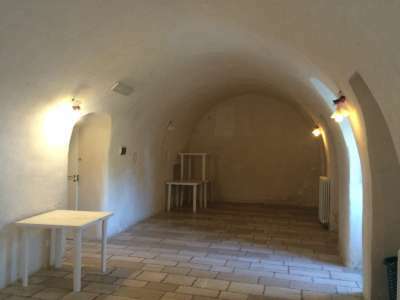 Spacious renovated former monastery with a total built area of 300m2, set within a large 10,000m2 plot, situated in a dominant position on the top of a hill near Alberobello and with panoramic countryside views. 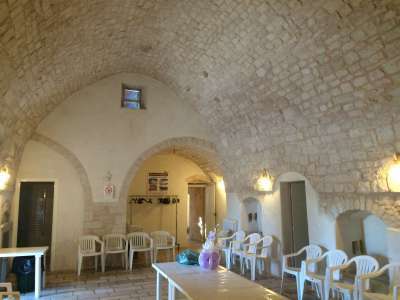 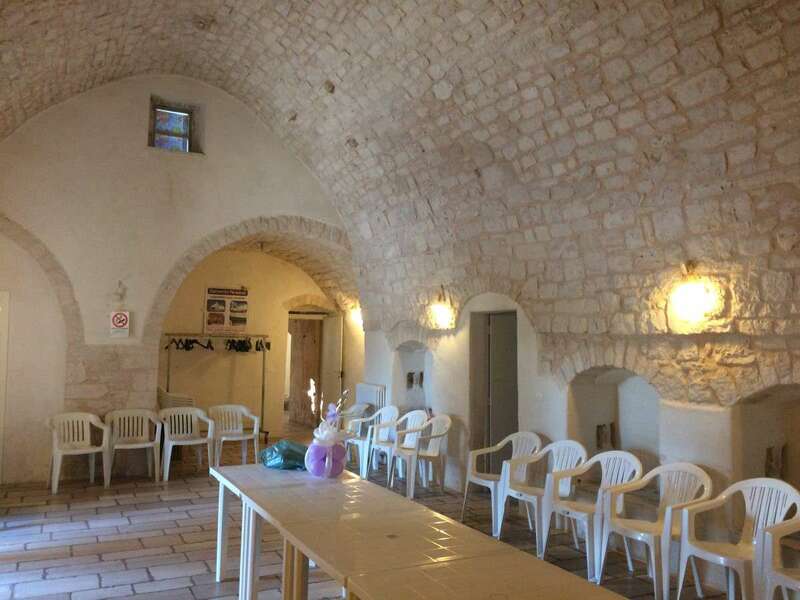 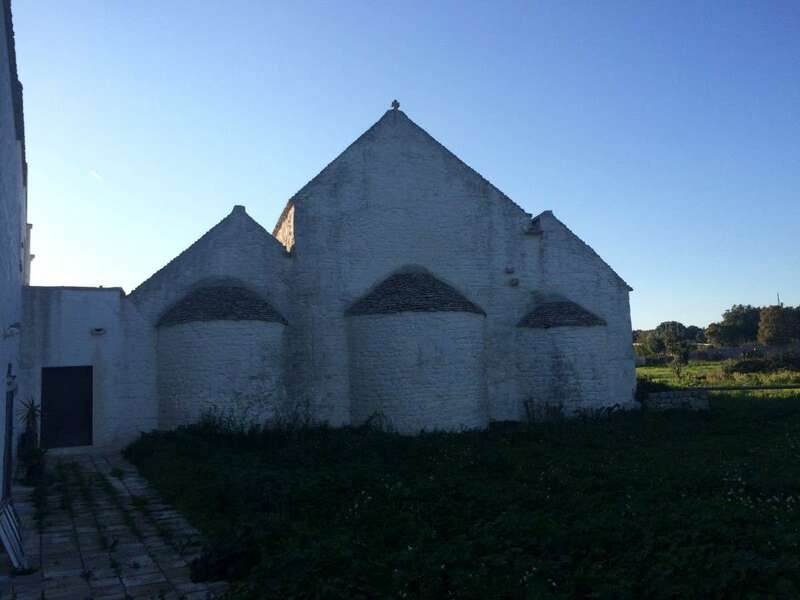 The ancient building includes 2 large rooms with vaulted ceilings on the ground floor with an adjoining kitchen, entrance and bathroom. 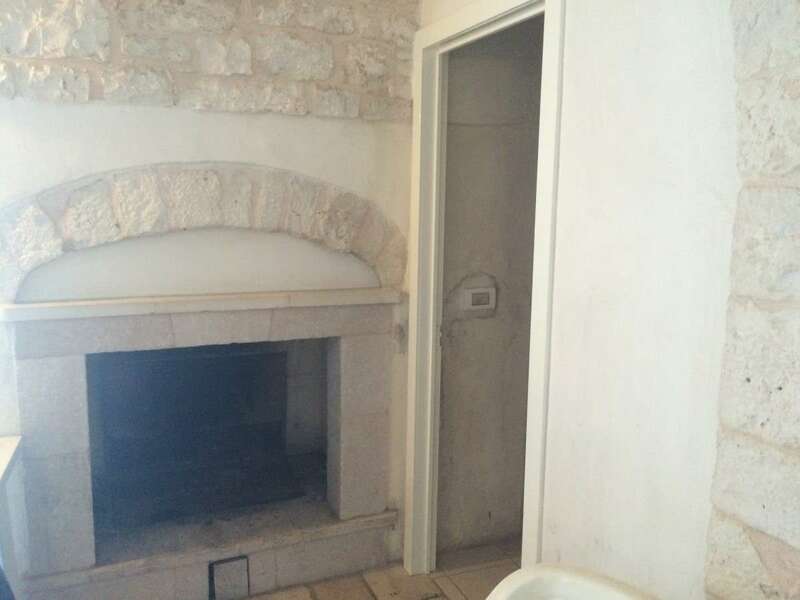 In the largest living room, there is an ancient fireplace. 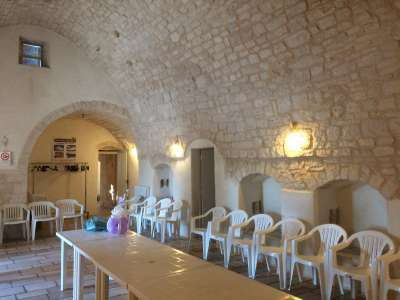 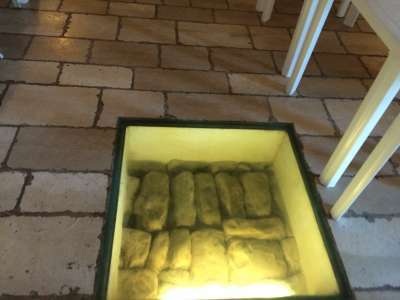 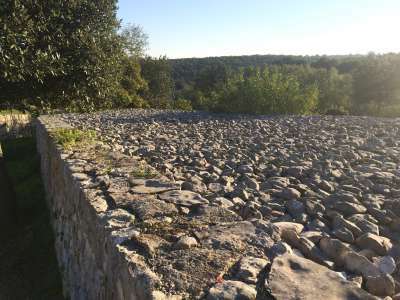 The upper floor, which is accessed by an external stone staircase, but in ancient times there was also a connection from the inside. 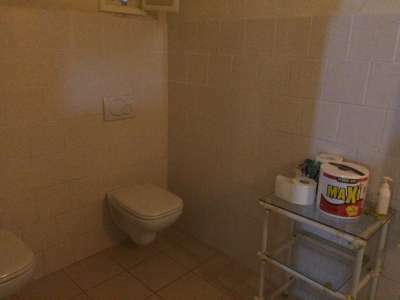 This area includes 3 independent en-suite bedrooms with small bathroom and a fourth unit including 2 rooms and a small bathroom. 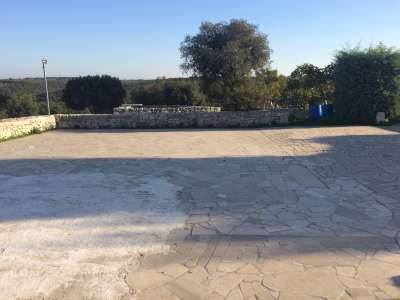 There is also a terrace on the roof with a wonderful panoramic views. 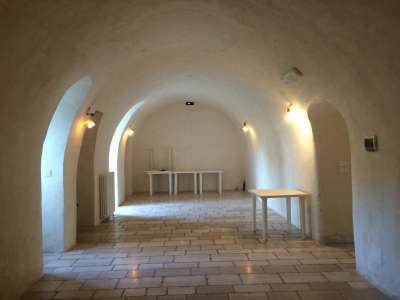 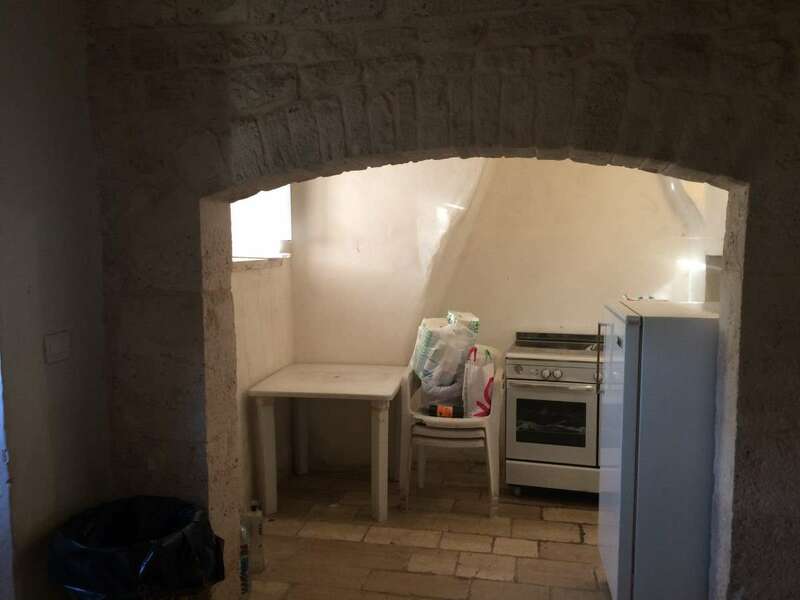 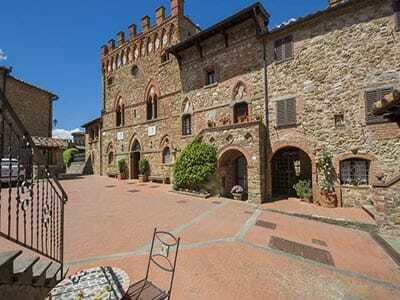 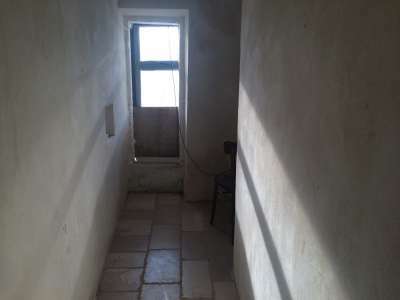 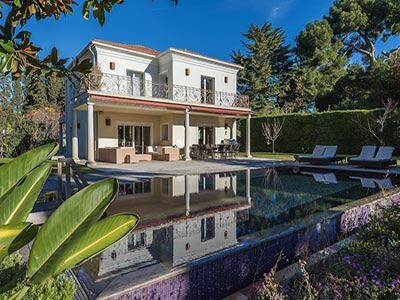 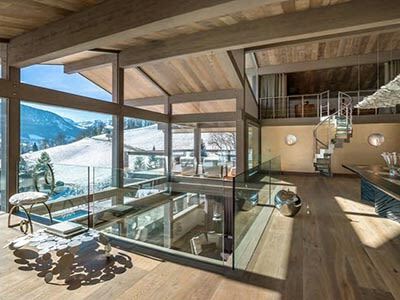 The property also includes 2 rooms, 1 of which is 15 x 4m and the other 10 x 4m. 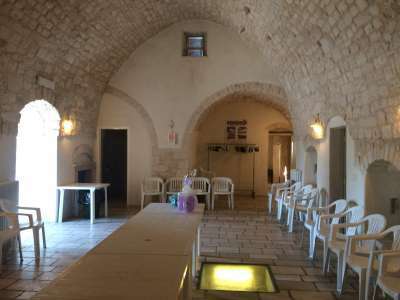 The building was renovated several years ago to use for events and celebrations, new owners need to adapt it to personal tastes. 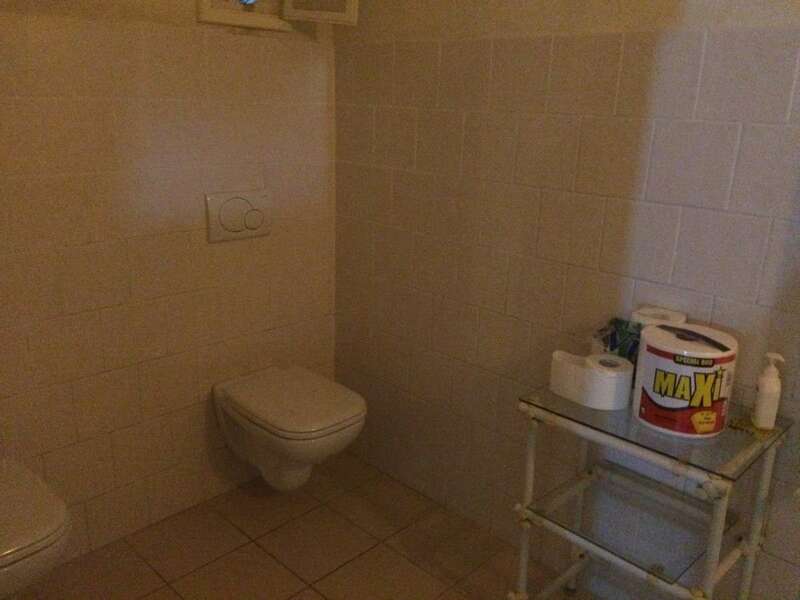 Installations: all systems are in place. 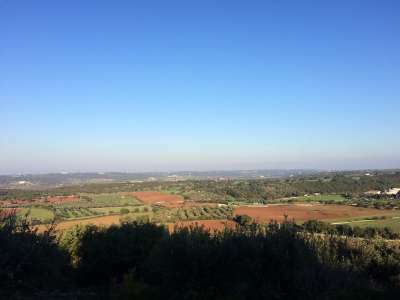 Set within 1 hectare of surrounding land, with the opportunity to buy a larger area of land of up to 8 hectares. 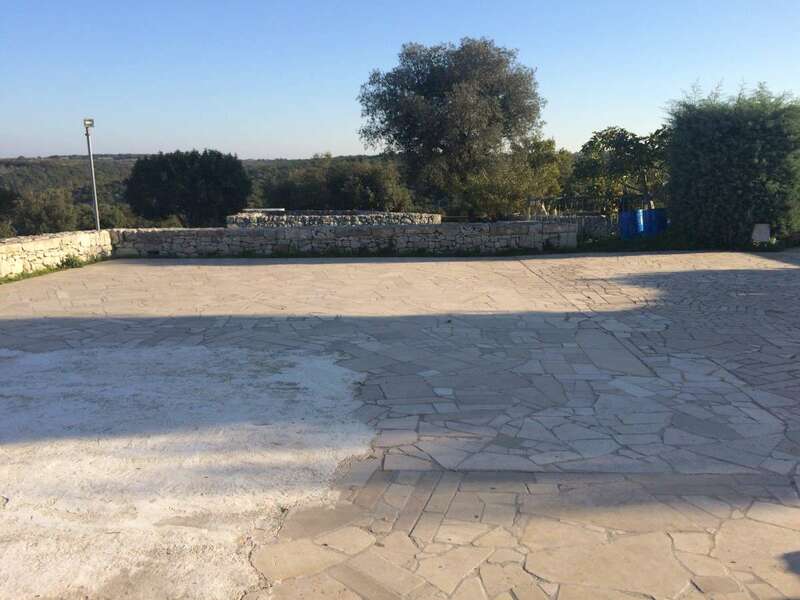 There is also a large fenced parking area, a gravelled area, a paved side yard as well as other annexes.